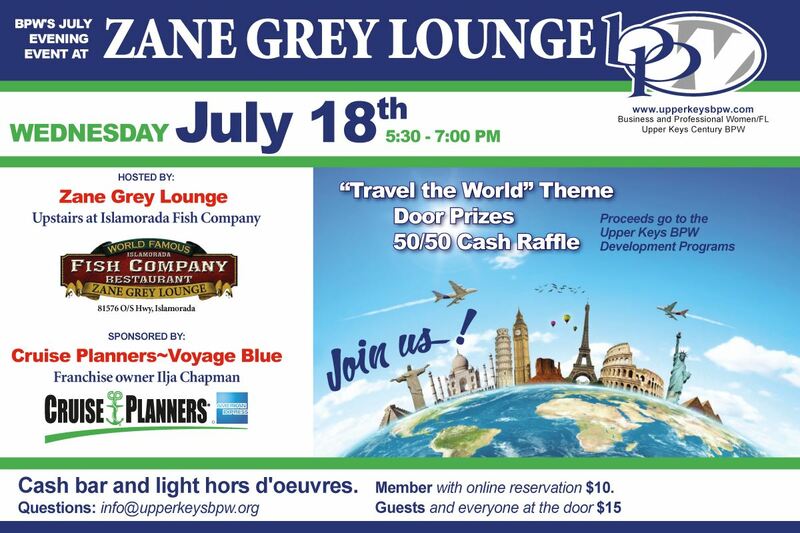 Come join your Upper Keys Business and Professional Women's club for an evening networking event. Hosted by Zane Grey Lounge. Sponsored by Cruise Planners/Ilja Chapman.